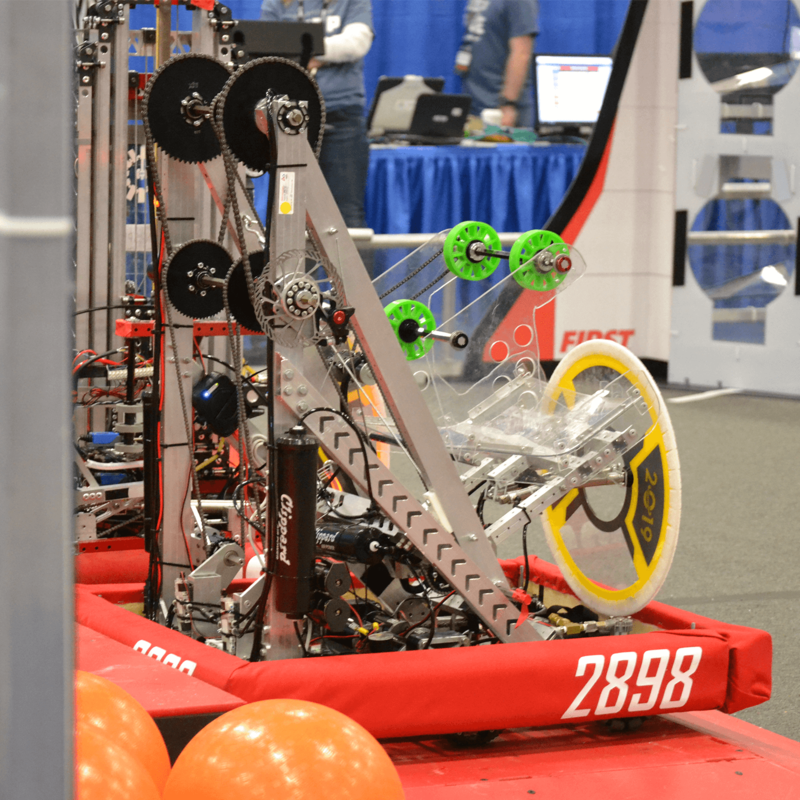 The FRC 2019 challenge, Destination: Deep Space Presented by the Boeing Company, involves two alliances of three teams each, with each team controlling a robot and performing specific tasks on a field to score points. The game has an outer space theme and involves two alliances of three teams each competing to place hatch covers and rubber balls or "cargo" on rockets and cargo ships before returning to their hab platform to climb at the end of the match. Size (LWH): 34" x 26" x 42"